All over the main section of the newspapers during most weekends are flashy advertisements for the latest London property launches held in luxury hotel function rooms in Hong Kong, Kuala Lumpur and Singapore. The message is clear: the London property market is on the rise, and investors can make easy money by buying London property now. In my opinion, the healthy rental demand and strong fundamentals of the London market makes it an excellent option for investors looking for an investment vehicle or a safe haven for their funds. 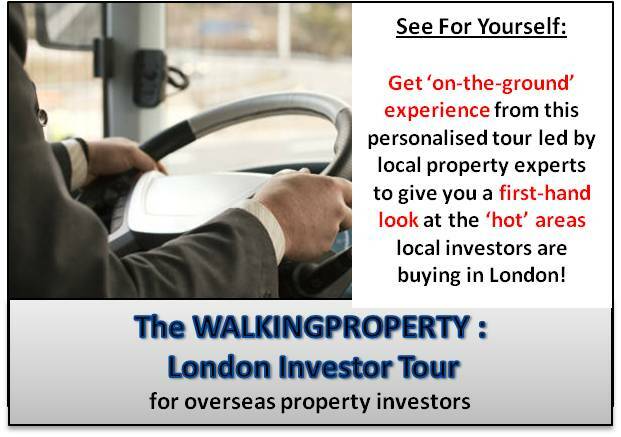 However, through taking to some who have invested in one or several London properties, certain investors, particularly the less-experienced ones, buy into London through ‘word of mouth’ after having heard from their friends and relatives about what a great investment opportunity it is. While London property certainly has much to recommend it, I am concerned that a number of investors may simply take glowing recommendations for granted and rush in without doing adequate due dilligence. Having spent many months researching the London market, and now living in London myself, I’ve put together a list of assumptions I think investors should not be making when buying London property. Living in London, it doesn’t take long to realize that one street located five minutes away in the same neighborhood can be worlds apart from another. For example, take the borough of Tower Hamlets in East London which I am living in now, where spanking new luxury developments with 24-7 concierge and security stand proudly on one side of the street, but take a 10-minute walk further down and you will find yourself in a rough part of the neighborhood lined with rows and rows of ugly concrete blocks of council housing. While this does not necessarily mean an area is undesirable to live in, it may indicate that the area has a large proportion of residents living on government welfare programs, including housing benefit. I’ve found that a good indicator of whether an area is up-and-coming would be the infrastructure that has developed around it. For example, having a Starbucks outlet spring up within walking distance would be a good sign of gentrification, as would plans for the development of a new shopping center. However, bear in mind that an ‘up-and-coming’ area could take more than 5-10 years to reach its full potential, and you may not want to wait that long! While the concept of signing on with a property agent to help you find a property in Singapore is nothing new, the practice of using a buyer’s agent in London is less wide-spread, as many buyers are not used to the idea of paying a commission and think this should fall to the seller instead. However, there are many benefits to engaging a buyer’s agent, especially when dealing with an overseas market you are not very familiar with. Buyer’s agents can keep you informed of what comparable flats have sold for recently, access properties through their contacts that may not be listed on property sites or newspapers, and more importantly, can assist in the negotiation process for discounts, that can often cover their fees and save you more. Having kept a close eye on London developments being marketed in Singapore, I have found that a many of the more ‘affordable’ options under £400,000 are often located in East London, often a good distance away from the city center. While areas such as Stratford has very strong rail transport links, there are other regeneration areas closer to the city area in London that show strong promise for future appreciation. 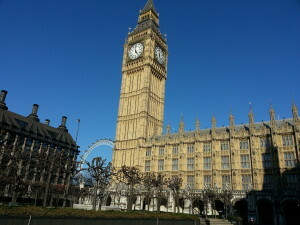 One instance is Nine Elms, on the South Bank, within walking distance to the Houses of Parliament, which will also benefit from the Northern Line extension. Nine Elms fulfills each of these three essential criteria: Within easy reach to the city, new homes priced below average for surrounding areas in the West, and at the brink of a multi-billion pound regeneration program between now and 2022. While the largest new build developments (often with over 500 units) have the largest marketing budgets and subsequently get the most exposure overseas, investors can sometimes overlook the smaller developments or resale units which may offer a better option. One other possible benefit of smaller developments is these developments may not include units for social or affordable housing, which are units allocated to those on low or no income, which the larger developments usually have to provide for according to government policy. Also, as units from the largest developments will be released onto the market upon completion all at once, this will mean competition among landlords for tenants, possibly pushing rents downward. Another advantage of smaller developments are that they can sometimes be Victorian conversions which are fully refurbished inside, providing the buyer with a valuable piece of English history. Is the Sterling Already at Its Lowest Point? Perhaps the most important concern for any overseas investor would be currency risks. Take the case where the investor is buying in Singapore dollars, and takes out a mortgage in Singapore dollars. Given the up and downswings of the international economy, there could be the likelihood that the sterling would appreciate over time, meaning that the rental income derived from the property in terms of Singapore dollars would fall, making the number of Singapore dollars needed to pay off the loan higher. This is an important point, as many overseas investors are earning and spending money in their own local currencies, and would look to convert any gains from selling the property back. Depending on whether your bank offers multi-currency loans, an option to mitigate currency risks is to take out the mortgage in pound sterling, although the trade-off is in higher fees as well as steeper interest rates.